MILAN — Inter Milan ended a two-month winless streak in Serie A with a 2-1 win at home to nine-man Bologna on Sunday, thanks to teenager Yann Karamoh. Former Inter forward Rodrigo Palacio canceled out Eder’s opener but the 19-year-old Karamoh scored a fine solo goal before Bologna defender Ibrahima Mbaye was sent off. Adam Masina was also shown a straight red in stoppages for a terrible tackle on Inter debutant Lisandro Lopez. It was Inter’s first league win since Dec. 3 and saw the Nerazzurri move third in the table, a point above Roma, which leapfrogged Lazio after a 5-2 win over bottom side Benevento. Inter, which had been top before its disastrous run, is 14 points behind second-placed Juventus. 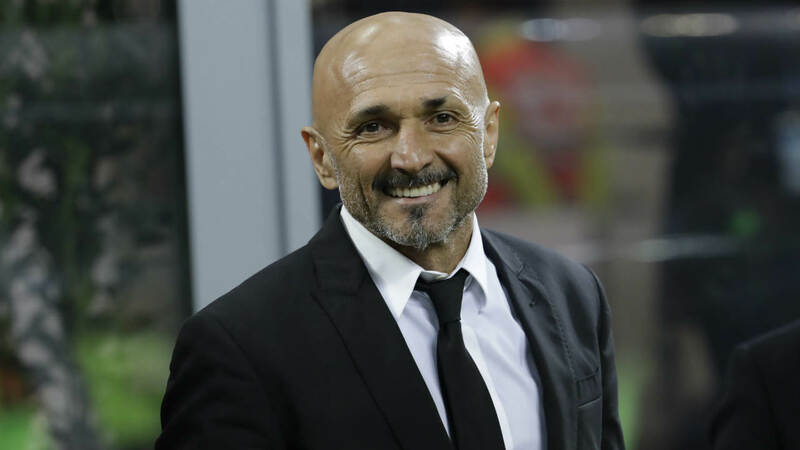 “After a period of crisis we had a sort of duty to invert the trend, to continue our path to the Champions League,” Inter coach Luciano Spalletti said. “We had a really great first half of the season but that didn’t mean that we should win all our matches easily. Inter was desperate to get back to winning ways after six draws and two losses and it got off to the perfect start, taking the lead with less than two minutes on the clock. Karamoh controlled a long ball on the right and picked out Marcelo Brozovic, who pulled it back from the byline for Eder to slot into the bottom left corner. It was Inter’s fastest goal in Serie A since 2007. But Palacio, who spent five years at Inter before leaving last August, came back to haunt the Nerazzuri as he leveled in the 25th minute, holding off Joao Miranda and controlling the ball on his chest before lifting it above Samir Handanovic. Instead of celebrating, Palacio gestured an apology to Inter fans. Eder had two penalty appeals waved away at the end of the first half, without the video assistant referee being consulted, and Inter wasted a number of golden opportunities and hit the crossbar before retaking the lead in the 63rd. Karamoh played a one-two with Rafinha and surged forward, beating two opponents before curling into the left side of the net. Bologna’s hopes of getting back into the match diminished five minutes later when Mbaye was shown a second yellow for a tackle on Rafinha, although it almost leveled late on before Masina was also sent off. Cengiz Under could be the player to reignite Roma’s season. The Turkey winger scored last weekend as Roma ended a poor run of results with victory over Hellas Verona and he netted twice against Benevento in the second half after providing an assist for Edin Dzeko for Roma’s second. Benevento had taken a shock lead in the seventh minute through Guilherme before Federico Fazio’s equalizer. Enrico Brignola added another for Benevento in the 76th before Gregoire Defrel converted a penalty in stoppages after a handball. Italy forward Andrea Belotti ended his goal drought with a stunning effort to help Torino beat Udinese 2-0. Belotti hadn’t scored in 2018 but he showed why he has a 100 million euro ($122 million) release clause in the 66th minute. The 24-year-old Belotti raced forward from inside his own area, beating two defenders on the way before doubling Torino’s lead with a superb finish into the bottom left corner. Nicolas Nkoulou had opened the scoring with a 32nd-minute header after Udinese’s Antonin Barak had a goal harshly ruled out on video review for offside. Torino remained unbeaten in the league this year and leapfrogged Udinese into ninth, five points below a Europa League spot. Sampdoria maintained its push for Europe with a comfortable 2-0 win over relegation-threatened Hellas Verona. It occupies sixth spot and the last Europa League berth, three points ahead of AC Milan. Verona remained 19th, five points from safety and six below 16th-placed Chievo Verona which saw its crisis deepen as it was beaten 1-0 by Genoa following Diego Laxalt’s stoppage-time winner. Earlier, struggling sides Sassuolo and Cagliari drew 0-0.